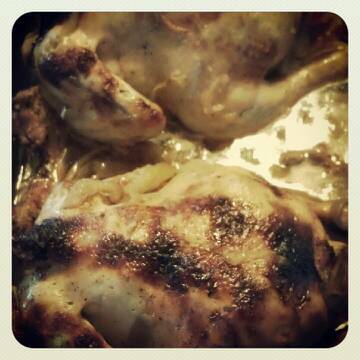 Jesa made this delicious chicken and golly it was moist. She season it with salt and peppers, then some honey and of course her very own secret ingredients. Yeah every chef have their own ingredients that they always put on their cooking. Anyway, she made baked chicken just like we do in the Philippines. Hopefully she will make more soon. Eating different meal is awesome.